Last weekend, The Grinch kicked off the holiday season with a massive $67.5 million box office take. But there will be a new champion in town as Fantastic Beasts 2 looks to cast a spell on moviegoers. Also opening this weekend will be the Mark Wahlberg comedy Instant Family and director Steve McQueen's female-led heist drama Widows, which are both heading towards solid debuts as well. Fantastic Beasts: The Crimes of Grindelwald, which sees David Yates return to the director's chair, with Harry Potter creator J.K. Rowling penning the screenplay, will win the weekend with anywhere between $65 and $75 million domestically. Worldwide, the second movie in the prequel series is looking at a debut as high as $275 million. This, despite the fact that the latest entry in the Wizarding World currently sits at a measly 52 percent approval rating from critics on Rotten Tomatoes. 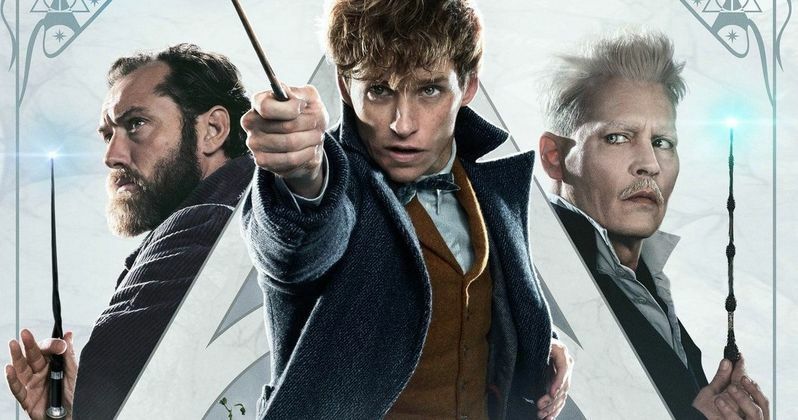 But Potterheads are still expected to turn out in droves to see Newt Scamander (Eddie Redmayne) and a young Dumbledore (Jude Law), square off against the nefarious Grindelwald (Johnny Depp). Universal's Illumination has delivered another hit with The Grinch and, even though the movie won't take the top spot in its second frame, it's going to have a very solid showing. The animated take on the Dr. Seuss classic, which features the voice of Benedict Cumberbatch as the titular grumpy holiday figure, should see a haul in the high $30 or low $40 million range. That will easily push it past the $100 million mark domestically. The three spot will go to the Queen biopic Bohemian Rhapsody which, despite middling reviews and criticism over its accuracy, has been doing excellent business. The movie should bring in an additional $20 million or so. Coming in at number four should be Instant Family, the latest Mark Wahlberg comedy, which co-stars Rose Byrne. The movie has been earning generally positive reviews, currently sitting at a 72 percent on Rotten Tomatoes, which will help give it a solid opening also around $20 million. Rounding out the top five will be Widows, which features an all-star cast led by Viola Davis. This is the first movie from director Steve McQueen since the Best Picture winner 12 Years a Slave. So far, buzz has been very good for the heist thriller, which should bring in anywhere between $12 million on the low side and $18 million on the high end. But the thriller should have some legs as awards season ramps up. Be sure to check out our full list of top ten weekend box office predictions and check back with us on Sunday for a full list of estimates. These numbers come to us from Box Office Mojo.